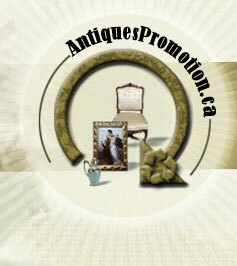 Please note that Antiques Promotion Canada does NOT evaluate items. If you would like an evaluation or appraisal, please use our Speciality section for a list of evaluators or post a question on the appropriate Antiques Promotion Forums. To sell an item, we suggest you contact one of our listed antique dealers or auction houses in your local area or post a free Antiques Promotion Canada Classified Ads.